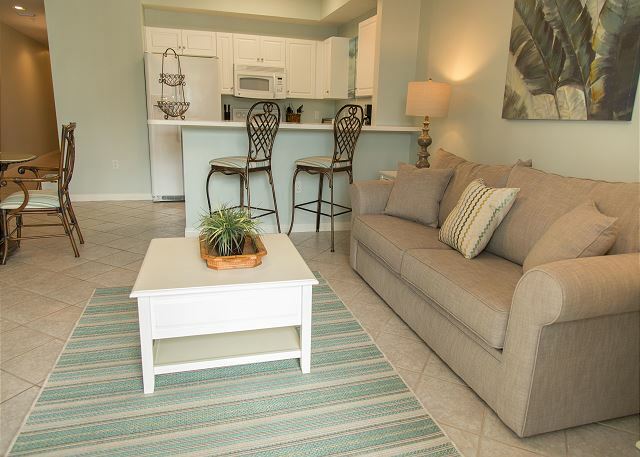 This newly renovated Gulfside Condo is just steps away from the beach and resort area pools! 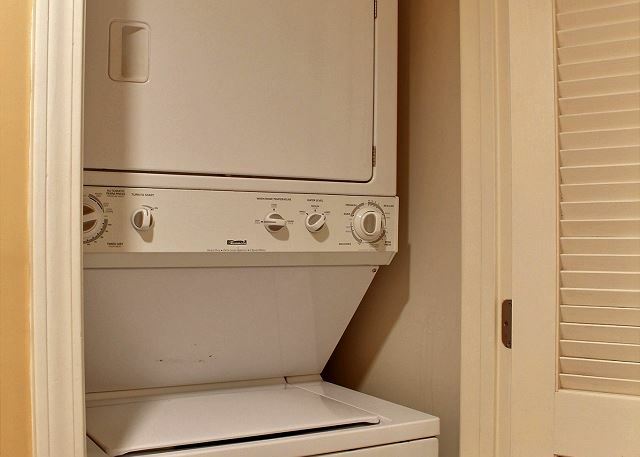 It is a ground floor unit, so there is no need to wait for elevators. It is conveniently located so that you can unload your vehicle right at the front door! 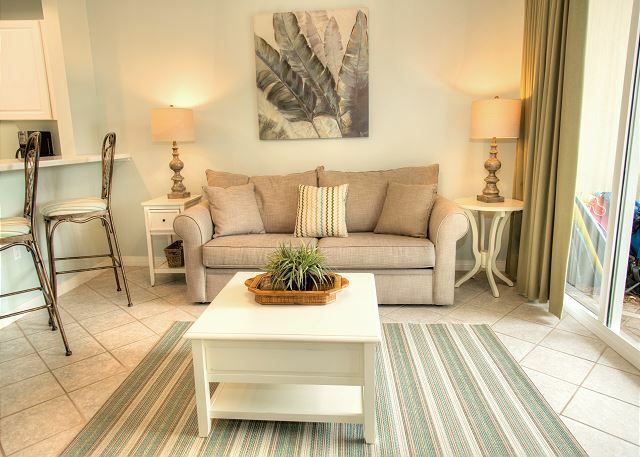 It is a beautiful little Condo which sleeps 6 comfortably and features a spacious Master bedroom, bunk room, sleeper sofa in a large living area, full kitchen, and 2 bathrooms. 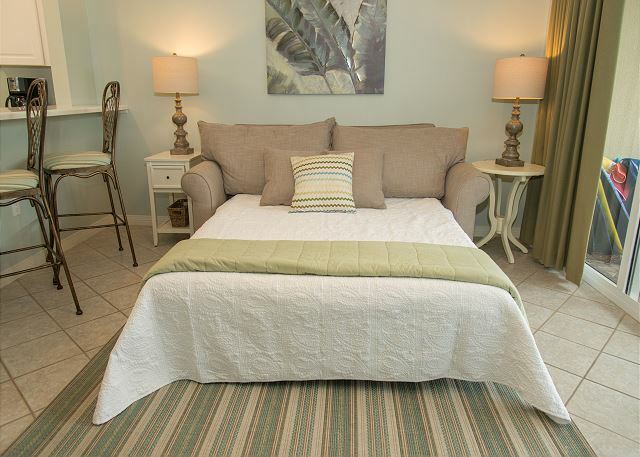 Guests in the Master bedroom can enjoy the comfortable king bed, television, large closet, and private bathroom with a shower/tub combination. 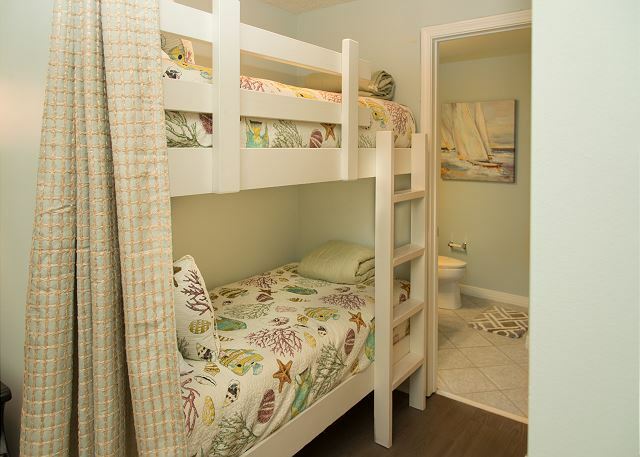 Children will LOVE sleeping in the bunk room, which has its own bathroom and television. 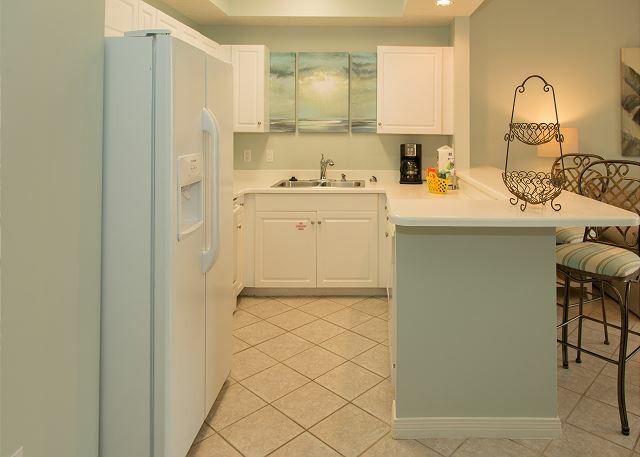 The fully equipped kitchen is open to the living room and allows for plenty of space to prepare delicious, home cooked meals for the family in between walks to the beach, and time spent taking in the sun and fresh air on the lovely patio. There is an elegant dining table which seats 4 and a bar in the kitchen with 2 additional seats which provides plenty of room to dine. 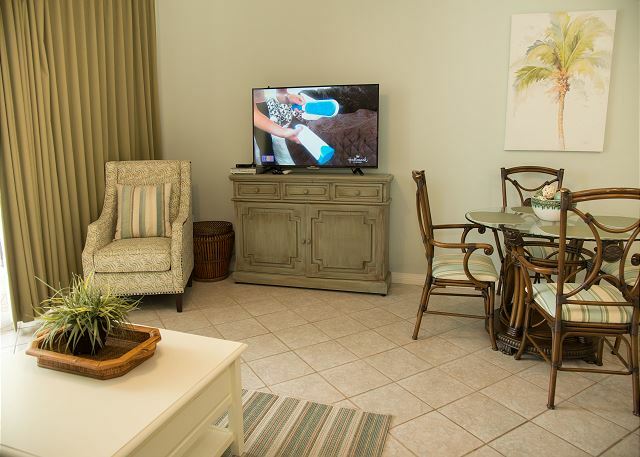 The living area is large and cozy and features a flat screen television, lots of comfortable seating, access to the patio with a beautiful view of the pool area. 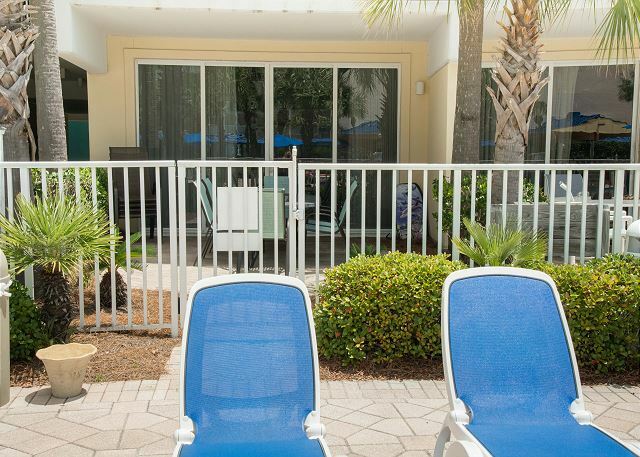 The patio itself is gated from the rest of the pool area, and also features additional seating for plenty of relaxation while taking in the fresh air and keeping an eye on little ones as they play nearby. 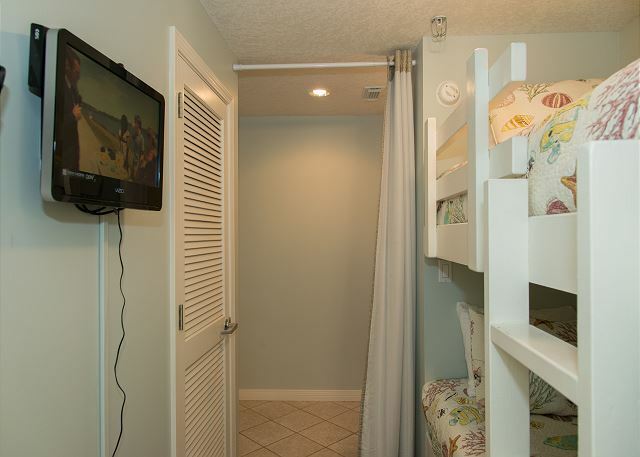 Destin West Beach & Bay Resort appeals to guests of all ages. 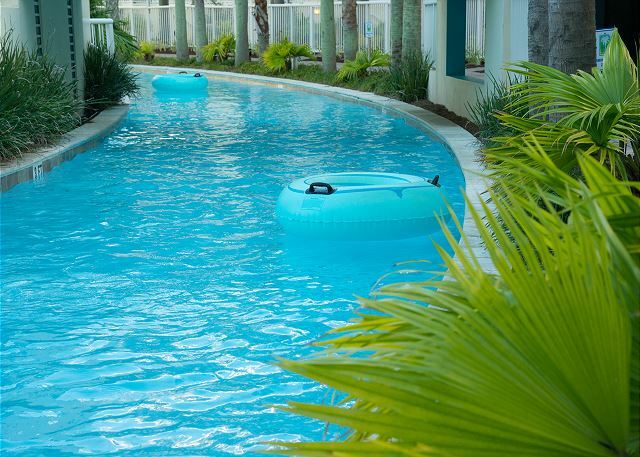 The many water features located throughout the resort provides entertainment AND relaxation. 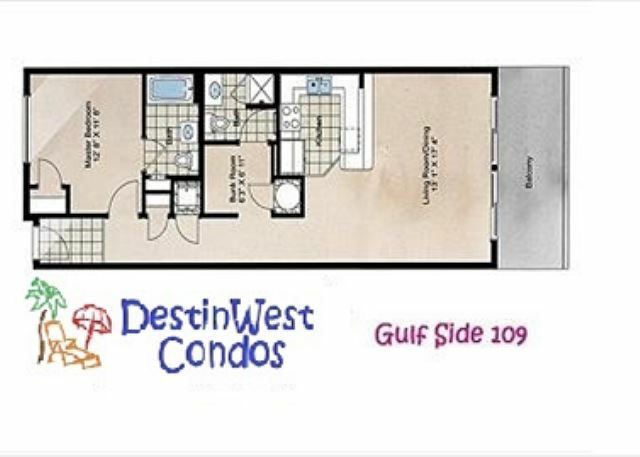 This gulf-front, ground floor unit with sleeping accommodations for 6 is centrally located within the resort. 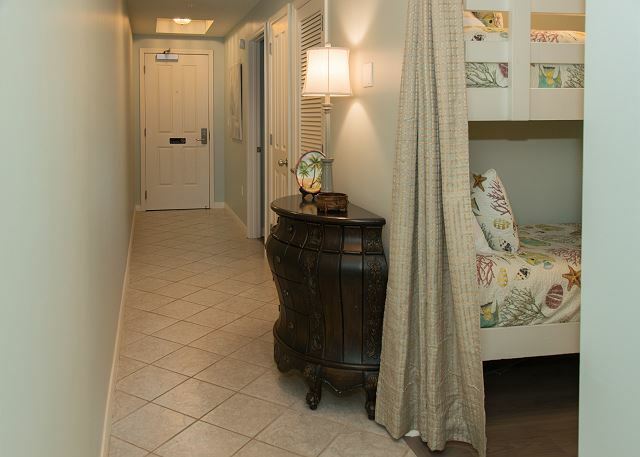 You’ll have all the amenities a small family or couple would need. Unload your luggage right at the front door, move your vehicle to the adjacent covered garage and you will be ready to kick back and relax. 3 TV’s with cable connection and DVD players gives everyone their own choice for viewing. 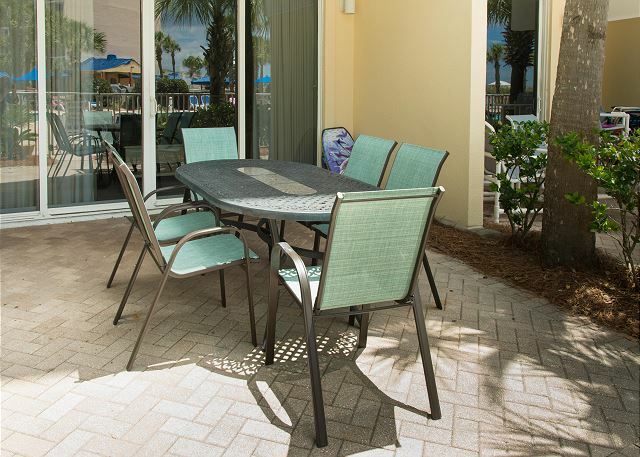 Use your laptop or notebook devices anywhere in the unit or on the patio with SECURE wireless internet service. Your private patio is surrounded with beautiful landscape overlooking the pool area. 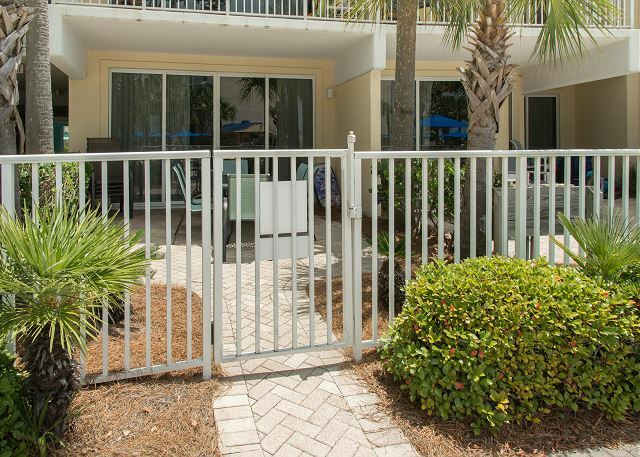 A LOCKING gate from the patio to the pool deck ensures safety for little ones. No need for elevators or climbing stairs to enjoy a late night soak in the spa, or “packing up” to go to the pool during the day – you’re right there! 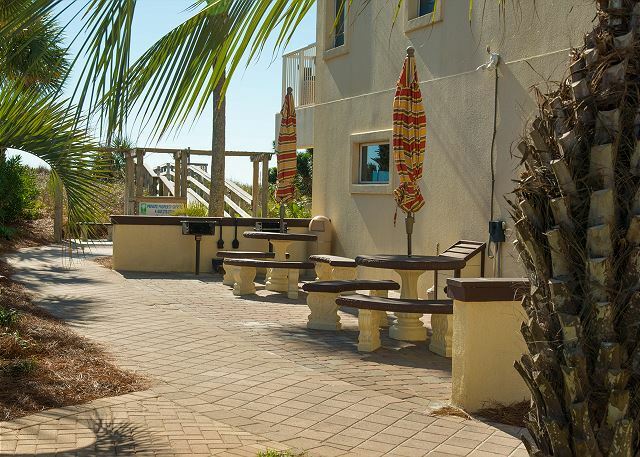 Around the corner, you can grill your steaks, while watching the waves roll in on the beautiful, sugar-white beach or go for a work-out in the state-of-the-art fitness center. 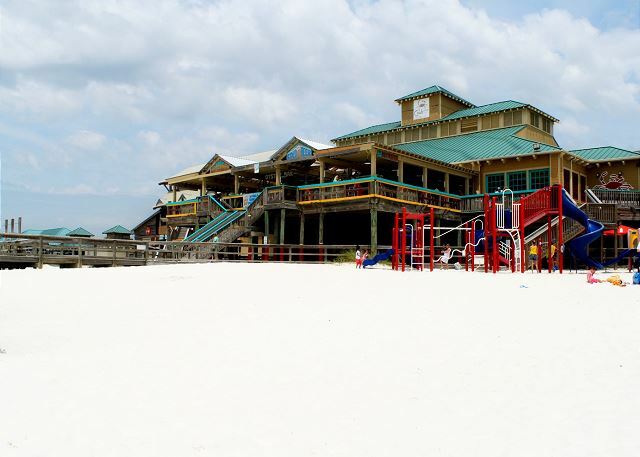 Within a short walking distance, the Fort Walton Beach Boardwalk hosts several restaurants and night clubs. 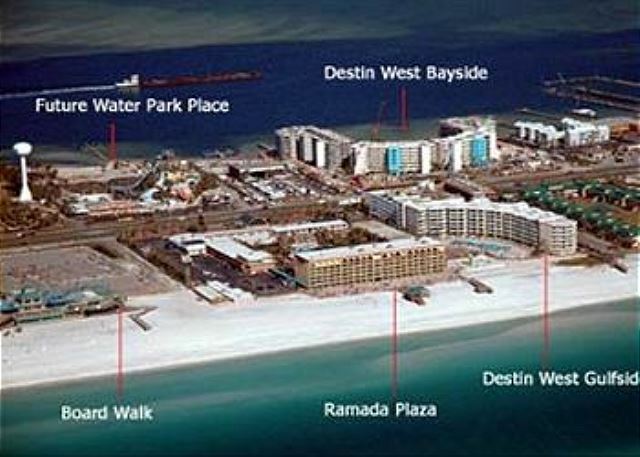 Also for your pleasure, Destin West Bayside, across the street, features a 700 ft. lazy river, a heated, waterfall pool and two additional spas. You will find grocery shopping, entertainment and great restaurants all within a mile of the resort. Our stay at west destin was wonderful. 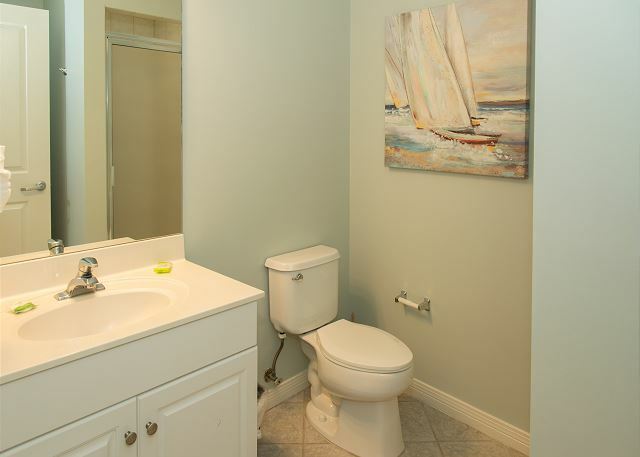 The condo was in great clean condition when we arrived and all the amenities were perfect! The location was amazing. 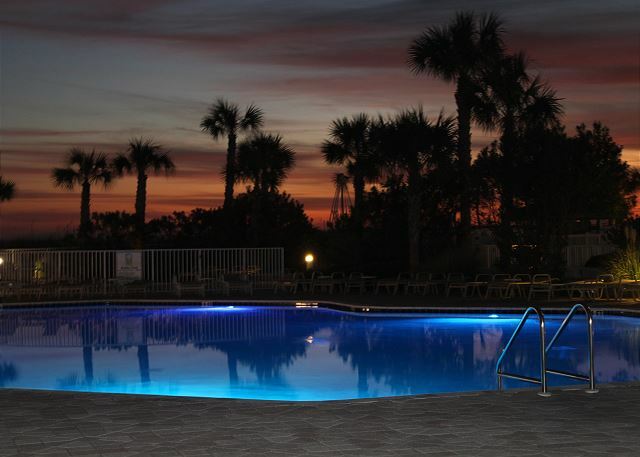 With children we were able to see them in the pool and hot tub from our patio and we were super close to the beach! 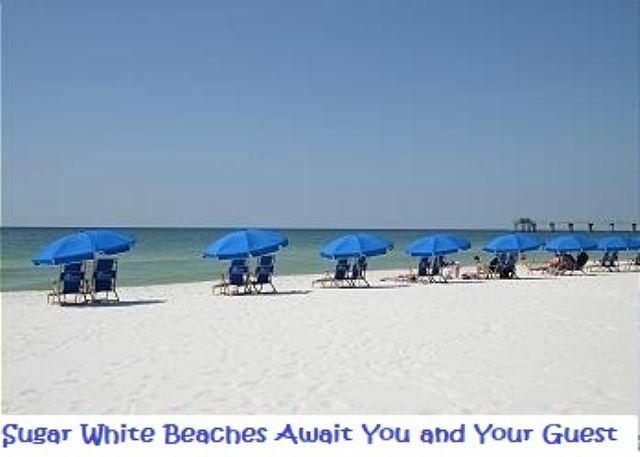 I would definitely recommend this property to anyone looking to visit Fort Walton! A wonderful place to stay. Helpful staff. Will stay there again. Dear Ms. Drexler, Thank you for these lovely comments and your amazing 5 star review! 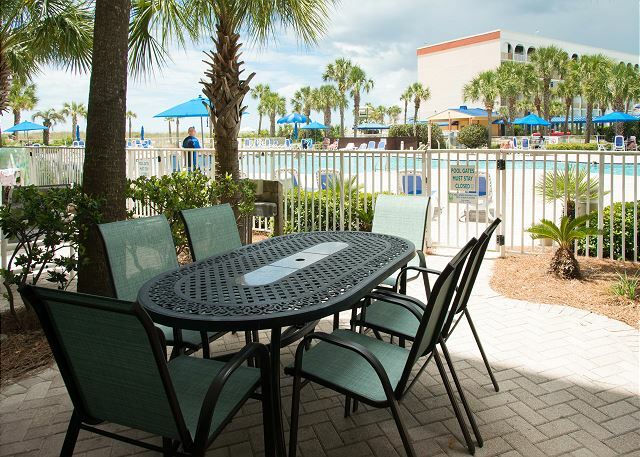 We'll be saving a spot for you next year, so give us a call when you're ready to book again! Unit 109 Gulfside was clean and well furnished. We loved the close proximity to two of the pools and the beach! However, this unit is on the corner of the main pool entrance and beach access making it a little noisy. The management team, upon hearing our complaints about needing a fan to drown out the noise at night and missing a pizza pan- promptly sent both items over to us within the hour. 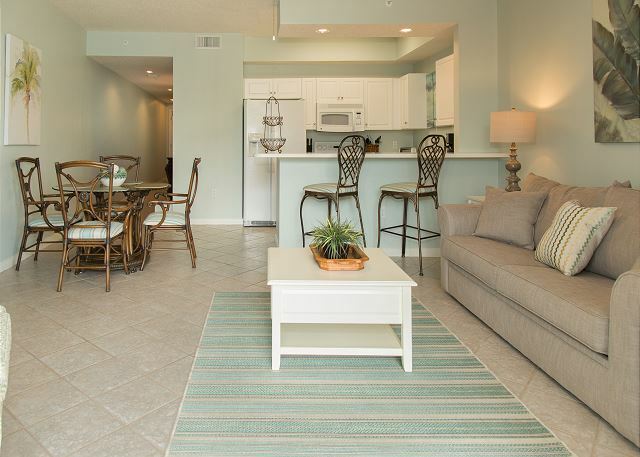 This is our second stay with Destin West Condos and we could not be more pleased with the units we have rented and, the customer service provided. We would highly recommend them to anyone! Dear Ms. Daniel, We're so happy to know that you enjoyed your stay with us! Thank you for taking the time to leave us this wonderful review! We want to provide the best services possible! 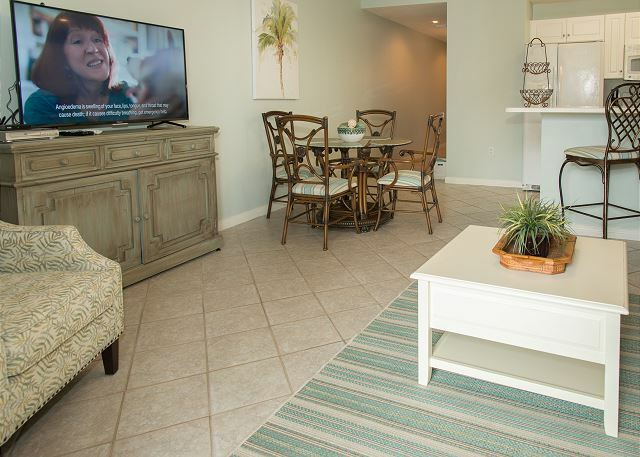 We're ready to book your next stay whenever you're ready for your next beach getaway! We also choose a condo at this specific location because of the access that you get to all of the other nearby facilities. Our girls loved adventuring over to the adjacent properties to check out the other pools. 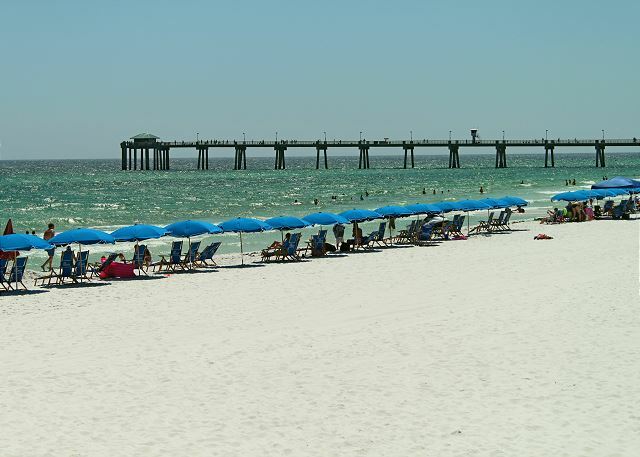 The beach access was great, the area designated for Destin West is small, but this did not affect us at all as there was plenty of space to spread out. 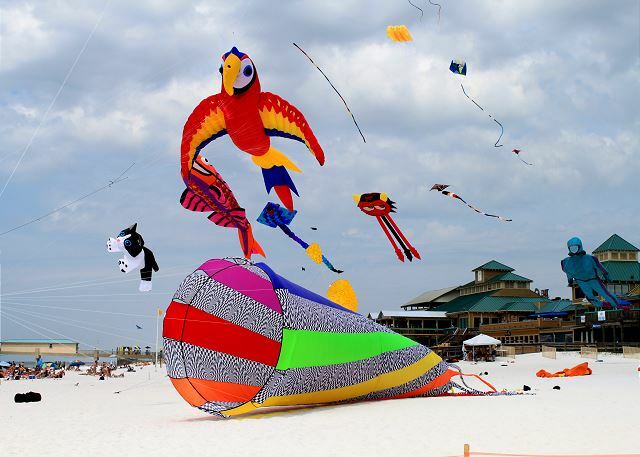 It is also near several great restaurants and the Gulfarium. We had zero problems/concerns with our stay! The whole process from booking to checking out was easy and super convenient. Dear Ms. West, These are the reasons we're in this business! We love helping families make memories that will last a lifetime! Thank you so much for your wonderful review! 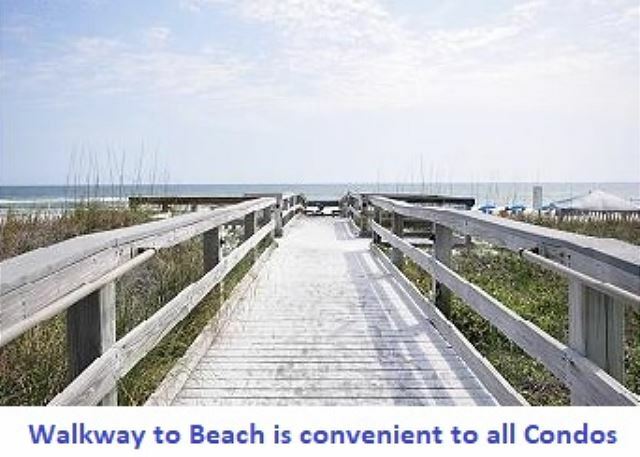 We'll be standing by to help you with any future visits to the beach with your family! Dear Ms. Carns, Thank you for taking the time to leave us this wonderful review! We're so pleased to know that you enjoyed your stay and will look forward to having you back again! Best condo I have ever stayed at! I'm so glad you enjoyed your time here with us! Thank you so much for taking the time to leave us this review, and we would also like to thank you for your service to our country! This condo was the most relaxing, beautiful place we have ever stayed. Everyone loved the decor! 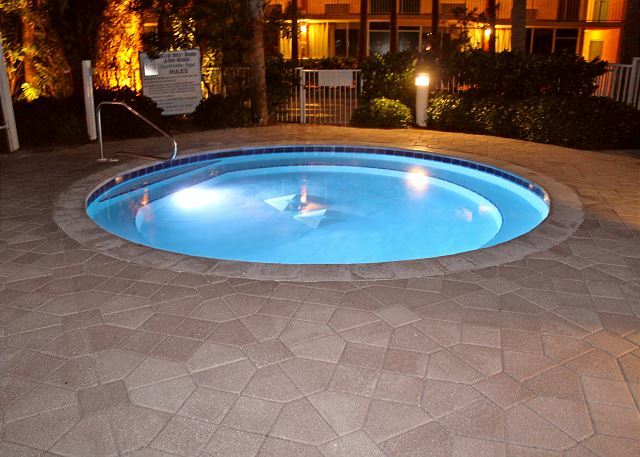 The convenience of this unit to the pool and the beach were great! We made use of the lazy river one day also. We kept in contact with the property managers as we found things that needed fixed and they responded quickly. It was stocked with every thing we needed for a wonderful vacation!!! We all agreed we want to go back every year. Dear Mr. Skaggs, This is the very reason we love our jobs in hospitality! It is ALL about seeing families making memories. I'm so glad you enjoyed your stay with us and want to thank you for your kind comments. A quick response to any issues that may arise is a serious priority for us. We're already looking forward to seeing you back next year! Everything was perfect as usual. I go here 3-4 times a year and always feel everything is taken care of every time. These folks have their T’s crossed and their I’s dotted every time. They are very professional. The property is phenomenal, the water is crystal clear, the sand is sugar white and the multiple pools and multiple Jacuzzis are always clean . Dear Mr. Brupbacher, Thank you for taking the time to leave this wonderful review! We're so pleased to hear from you and know that you've had a consistently wonderful experience with our company. We look forward to your next stay with us! The condo was lovely, well decorated and very clean. On our arrival, the door code didn't work but with a call to the owner we were promptly given an entry code. Any concerns or questions were taken care of with the quick responding manager of the condo or the courteous office person on site. 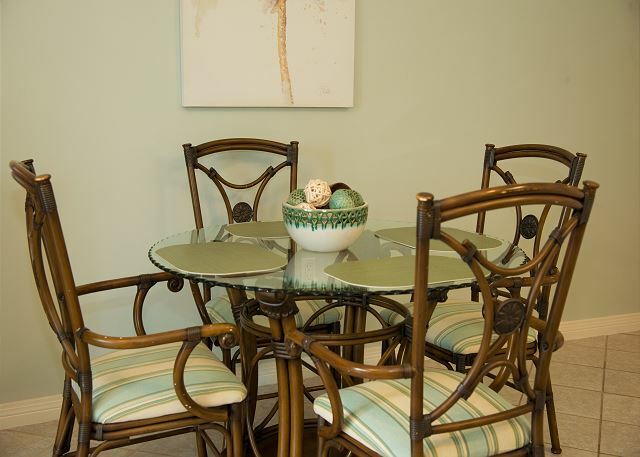 The location was perfect, having close access to many restaurants and to Destin. The beach and gulf outside our door was amazing, loved watching the sunset. We enjoyed the Boardwalk, almost next door, with their shops and restaurants. Floyd's we'd highly recommend along with Rockin Tacos there. Shrimp Basket is always a favorite. A trip to Eden State Park is a must with the beautiful Wesley Home and grounds with blooming flowers. We'd definitely recommend this condo to our friends and family. 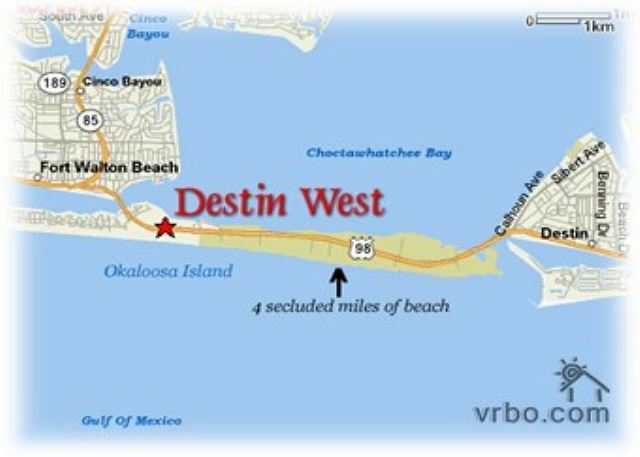 In fact, Destin West was recommended to us by a couple who came there for many years. We hope to return. Many thanks. The Condo was great, was a lil bummed that couldn't see the ocean from it, I should of inquired more about the scenic view...but it was an awesome trip and we intend to make it an annual vacation. Danny sorry that you had wanted an ocean view. Unfortunately because of the dues you have to choose between convenience and view. 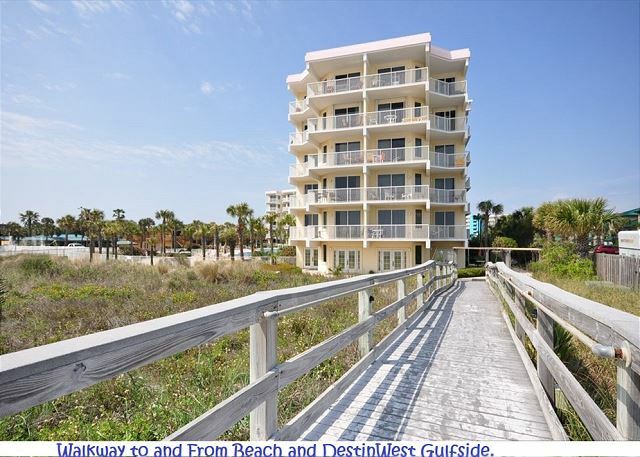 It is hard to beat the convenience of the ground floor condos on the gulf side. Especially if you have little ones. We look forward to renting to you in the future. We do have some gulf side condos with fantastic views. Everything you could want. Easy to book, room was accommodating for us and our 2 small children. It was nice to be able to walk out the back door and be at the pool. Just a short walk down to the beach. Our room came with a wagon which made it easy to haul everything to the beach! We enjoyed our stay very much. Our condo had a great location . Walk right out to the pool. I liked the fact our patio was fenced and very private. Open the gate and walk out to the pool area. Condo was very nice and clean . All of the staff were very friendly. Would recommend this place to everyone. Great condo for family vacation. 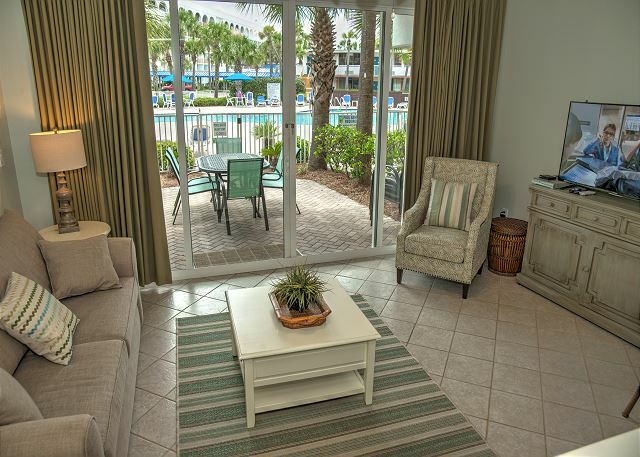 The unit is conveniently located on the ground floor with easy access to the beach and the pools. The management company is very responsive to address any situation as we had when one of the DirectTV cable boxes failed to turn on. The unit has everything a small family would need for a week long spring break getaway.